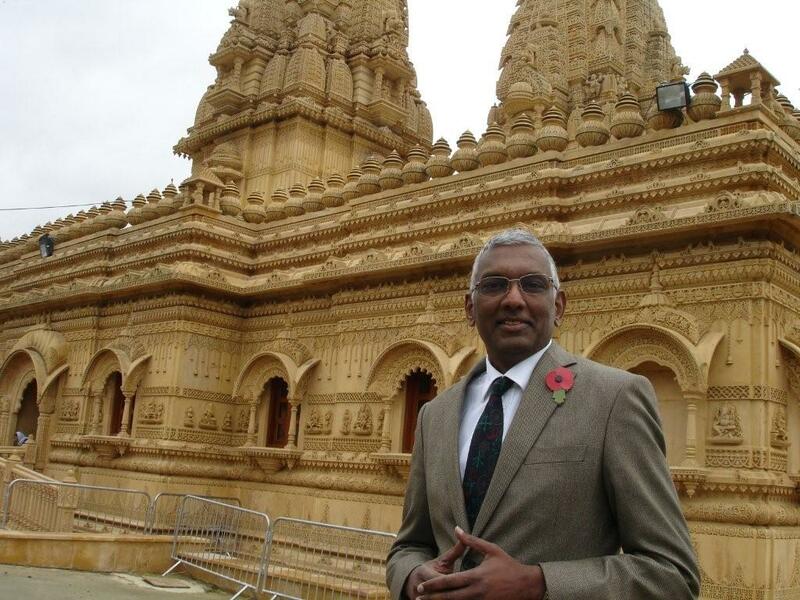 Dr. Atul K. Shah's epic Masala Tour of Britain, ended with a bang on 25th November 2010. Founder of the web portal www.diverseethics.com and writer and broadcaster, Dr. Atul Shah has always been very concerned about the social and ethical decline in British society and values. Its diversity and huge multi-cultural strength is kept at the margins, rather than tapped into the inner core. During the tour, Dr. Shah travelled to a number of UK cities and towns, including London, Leicester, Peterborough, Chester, Bradford, Manchester, Oxford, Horsham, Brighton and Woking, video-interviewing leaders and grassroots people helping to fuse Indian wisdom into British life and society. A unique You Tube - Masala Tour channel was created specifically with this in mind and already, thousands of people have seen the videos. He explains: "The wisdom of India is timeless and has a huge scientific and artistic heritage which is very relevant to the government's Big Society agenda. Strategists and Policy advisors should be drawn from this community, and Diverse Ethics can help with its vast contacts, understanding and networks." Lynne Sedgmore CBE and founder of the Centre for Excellence in Leadership explains: "The Masala Tour is a new dawn and wake-up call for Britain. It is time we lost our fear of the wisdom of the East, and instead turned it to our advantage." Dr. Atul K. Shah has a PhD from the London School of Economics and has written extensively on business ethics, social cohesion and Indian wisdom. His book 'Celebrating Diversity' was widely acclaimed as the most innovative on the subject. He is now planning to write a new book entitled 'Masala Britain' to capture the findings of this tour. This book will show Britain and the World that East and West can meet, that there is much to learn from one another, and that the timeless wisdom of India is alive and vibrant right here in Britain. In fact, Britain is the very home of this unique fusion between the cultures. Biodata of Dr. Atul Shah is linked here.